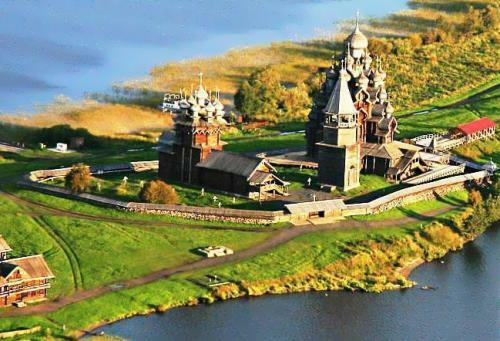 Kizhi is an island in the northern part of Lake Onega in Karelia. 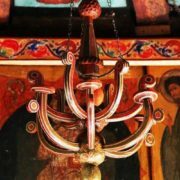 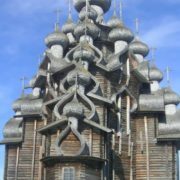 There is an amazing beauty complex of Kizhi Pogost here. 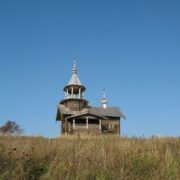 Pogost is a number of villages around a single center. 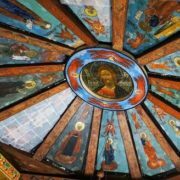 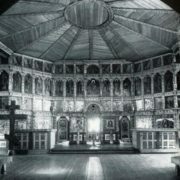 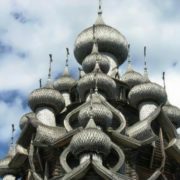 True masterpiece of ancient wooden architecture is considered to be the 22-domed Transfiguration Church, built without the use of nails. 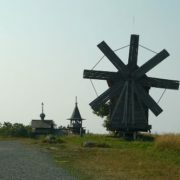 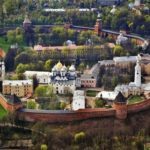 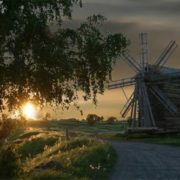 It was built in 1714, during the Great Northern War (1700-1721) between Russia and Sweden for access to the Baltic Sea. 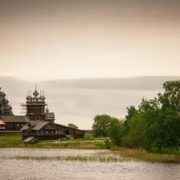 Russia wanted to gain a foothold on the shores of the Baltic. 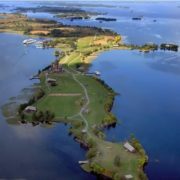 In 1714, Russian fleet under the command of Peter I in the peninsula Hanko was managed to defeat the Swedish squadron, and took all 10 enemy ships. 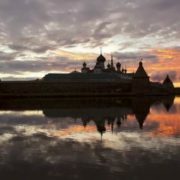 It was the first major naval victory in the history of the Russian Navy. 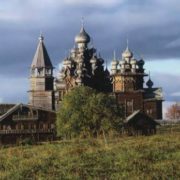 For the northern lands of Russia, including Karelia, winning the Northern War meant a significant removal of the country’s borders to the Baltic shores. 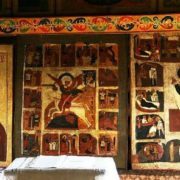 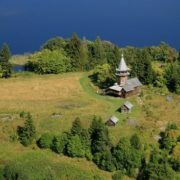 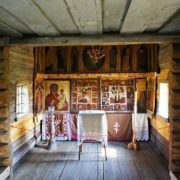 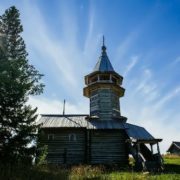 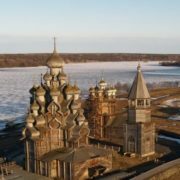 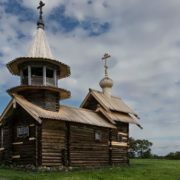 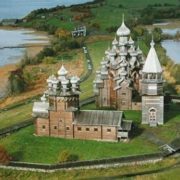 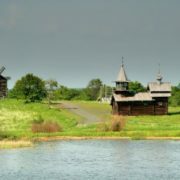 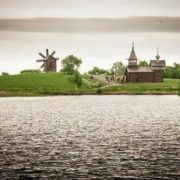 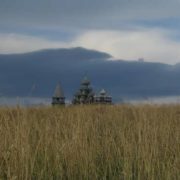 To celebrate the victory the inhabitants of the northern part of Lake Onega decided to build the Church of the Transfiguration. 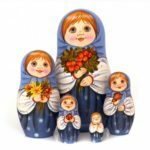 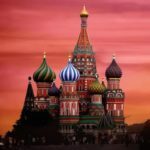 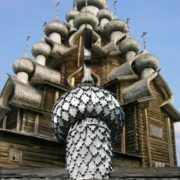 Now it is one of the most recognizable symbols of Russia. 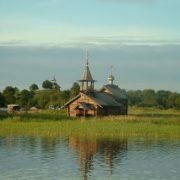 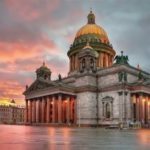 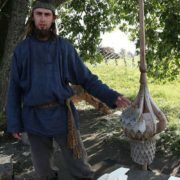 When master Nestor finished the work he threw his ax in Lake Onega and said: “Master Nestor has built this church, there was no similar church in the world and will not be”. 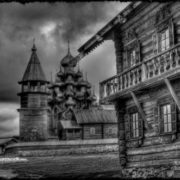 His words proved to be prophetic. 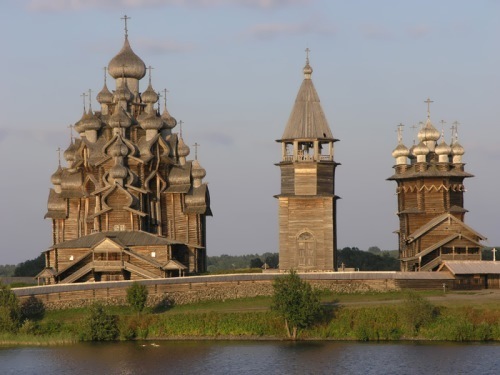 The walls are made of pine and the roof is made of aspen. 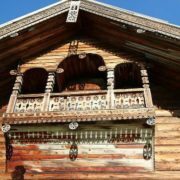 The roof is the only place where the nails were used. 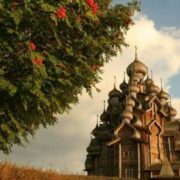 Church of the Transfiguration and 9-domed Intercession Church with a bell tower, which was built half a century later, in 1764, are summer constructions. 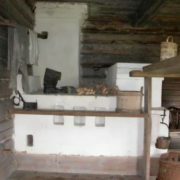 There are a few peasant houses transported from other places on the island. 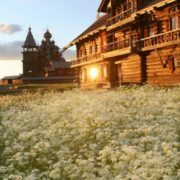 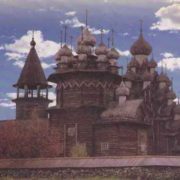 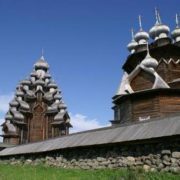 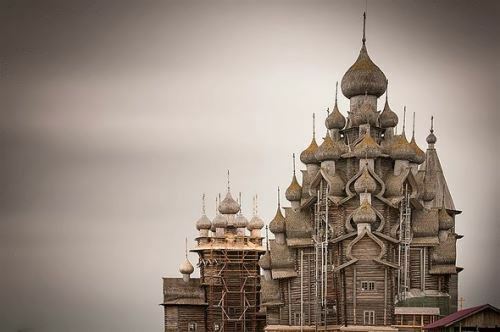 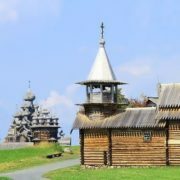 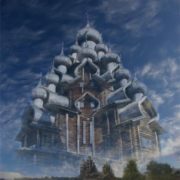 These structures serve as examples of the northern Russian wooden architecture. 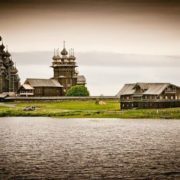 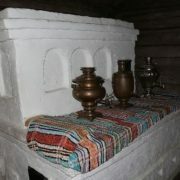 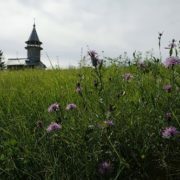 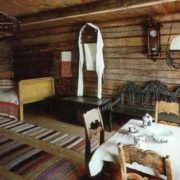 Today Kizhi is the State Historical-Architectural and Ethnographic Museum. 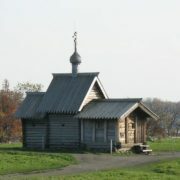 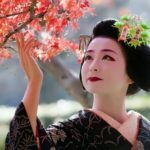 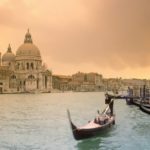 In 1990 it was included in the list of World Heritage of Humanity by UNESCO.